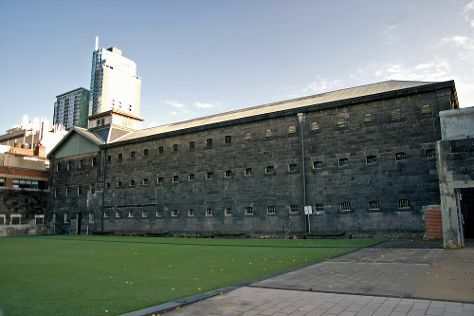 Deepen your sense of the past at sights like Old Melbourne Gaol and Shrine of Remembrance. Step out of the city life by going to Melbourne Zoo and Balloon Rides. And it doesn't end there: take in the local highlights with Royal Botanic Gardens, kick back and relax at Sandridge Beach, enjoy breathtaking views from Eureka Skydeck 88, and examine the collection at Melbourne Museum. To find traveler tips, where to stay, ratings, and more tourist information, use the Melbourne online day trip planner . Kuala Lumpur, Malaysia to Melbourne is an approximately 11-hour flight. Traveling from Kuala Lumpur to Melbourne, you'll lose 2 hours due to the time zone difference. When traveling from Kuala Lumpur in November, plan for slightly colder days in Melbourne, with highs around 26°C, while nights are much colder with lows around 11°C. Wrap up your sightseeing on the 1st (Sun) early enough to drive to St Kilda. St Kilda is an inner suburb (neighbourhood) of the metropolitan area of Melbourne, Victoria, Australia, 6 km south-east of Melbourne's Central Business District. 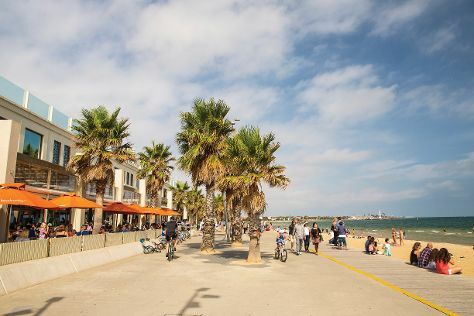 Start off your visit on the 2nd (Mon): tour the pleasant surroundings at Dendy Street Beach, then enjoy the sand and surf at Brighton Beach, and then kick back and relax at St. Kilda Beach. To find where to stay, other places to visit, more things to do, and more tourist information, read St Kilda route maker website . St Kilda is just a stone's throw from Melbourne. December in St Kilda sees daily highs of 28°C and lows of 15°C at night. 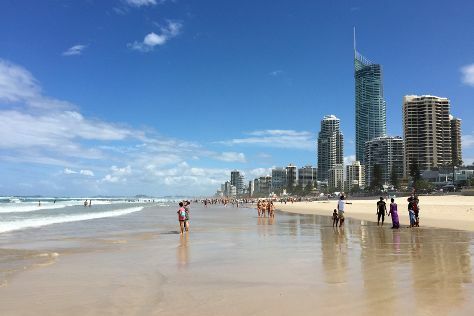 Wrap up your sightseeing on the 2nd (Mon) to allow time to travel to Gold Coast. Relax by the water at Surfers Paradise Beach and Burleigh Head National Park. Step out of the city life by going to Lone Pine Koala Sanctuary and Coolangatta Beach. Step out of Gold Coast with an excursion to Moffat Beach in Caloundra--about 1h 35 min away. Spend the 5th (Thu) exploring the fascinating underwater world at Sea World Theme Park. The adventure continues: tour the pleasant surroundings at Burleigh Heads Beach. To find where to stay, ratings, reviews, and other tourist information, read our Gold Coast visit planner . Fly from St Kilda to Gold Coast in 5 hours. Alternatively, you can do a combination of shuttle and flight; or drive. Traveling from St Kilda in December, you can expect nighttime temperatures to be somewhat warmer in Gold Coast, with lows of 22°C. Wrap up your sightseeing by early afternoon on the 6th (Fri) to allow time for travel back home.